Super light aluminium "X-Fold" design, 6kg weight. 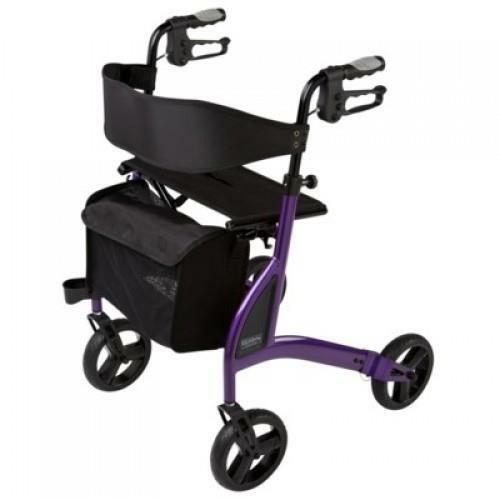 Adjustable padded backrest with soft touch hand brakes. Low maintenance wheels. Supplied with nylon mesh carry bag. Easy to fold for travel or storage. Available in a variety of colours: purple, red, blue, white, grey and apple green.